You would think that, based on where I live (where beautiful, organic produce is in abundance) and the fact that I try to eat mostly real, unprocessed food, that I'd have cooked with kale before. Truth is I don't really know what to do with a lot of those greens like kale and chard. 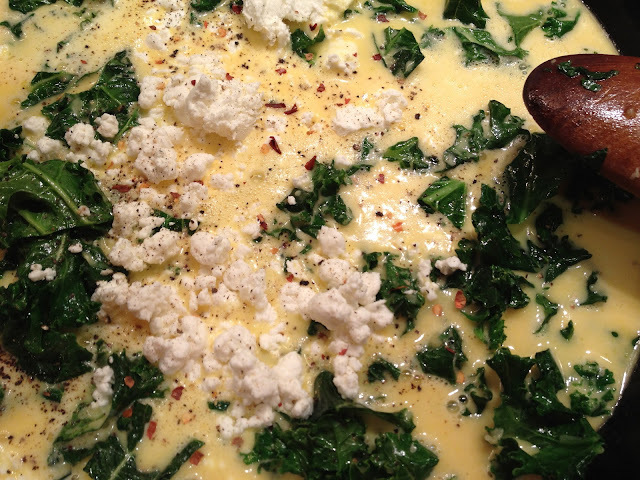 I think I ran across using kale in a frittata from the Ottolenghi website. 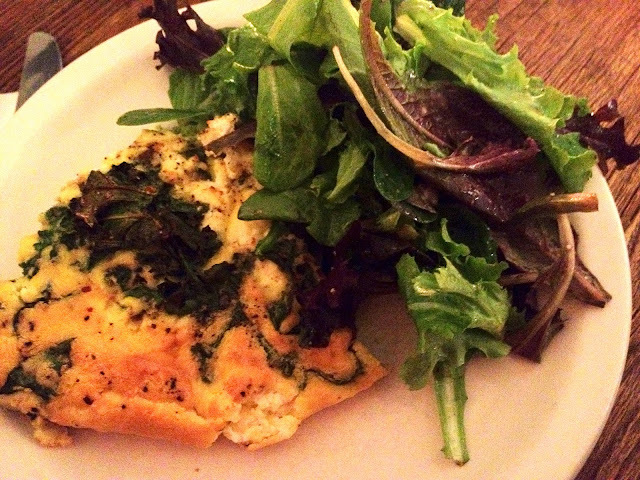 I just love making frittatas because they are so delicious and you can basically put anything in them. So I didn't really follow a recipe but just winged it. 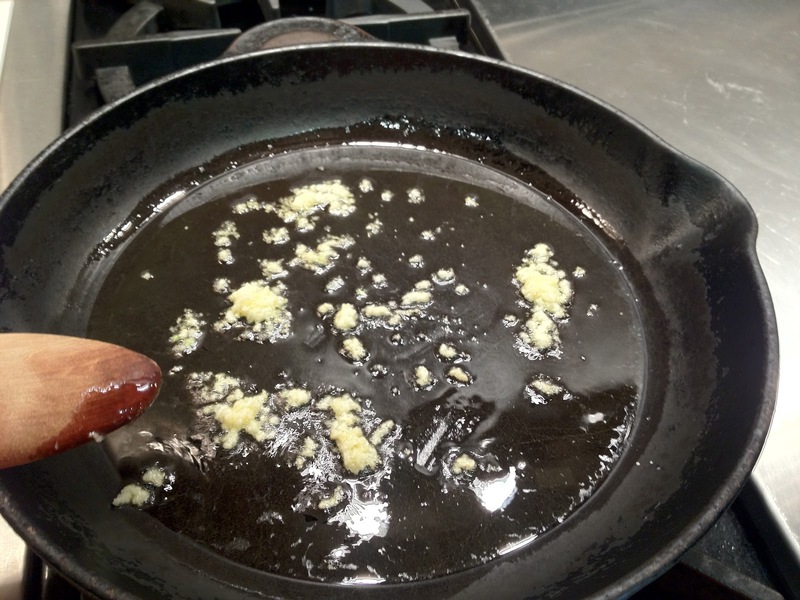 First I cooked up some garlic in olive oil. I got so excited about adding the cut kale that I forgot to add onion. No biggy. 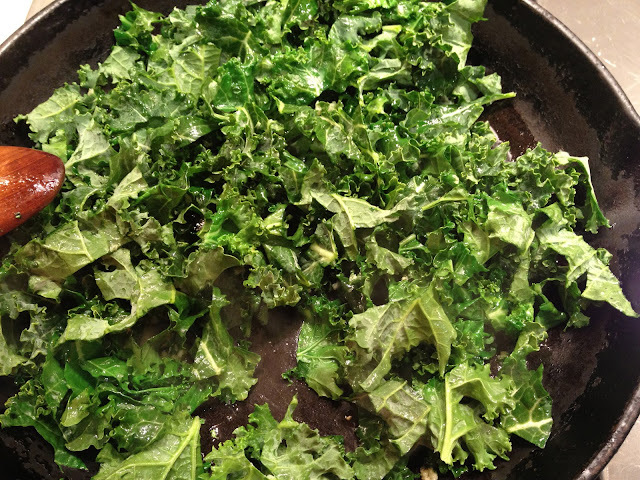 I cooked the kale until it started to wilt. Add one dozen eggs thinned with a bit of cream. Dump in goat cheese and sprinkle in some hot pepper flakes and ground pepper. This isn't the best quality photo I know, but suffice to say that this was very tasty. 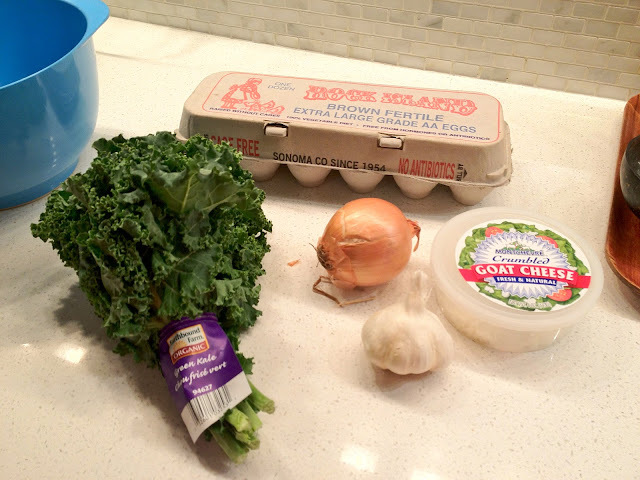 The kale added a very nice texture to the fluffy eggs. As I've said before, the frittata is a great "make-a-real-meal" meal when you're feeling like something tasty with very little effort.